Home » Is there a secret deal for Novorossia? To start with: I would not be surprised if the west has offered president Putin the Crimea if he abandons Novorossia and Donbass, but that would be a bad deal because Putin already has Crimea with or without the consent of the west. And it would be political suicide by Putin to abandon Novorossia, furthermore the west would anyway break their deal on Crimea. It can very well be that there is some kind of "deal" or proposal. We must remember that before the start of the civil war in former Ukraine the Russian proposal for solution was: federalization (or some kind of real autonomy for the Southeast, Novorossia), equal status of Russian language and the neutrality of the "whole country". This would keep "Ukraine" intact and would fulfill all Russian and Novorossian demands for security and equality. This would also be a great victory for president Putin, to achieve all that without any bloodshed, and so "naturally" this was rejected by the west and the Kiev nazi junta. But now, when Donbass is holding on and the war could at any time spread into Kharkov and Zaporozje regions, maybe this proposal above is more interesting for the west and the Kiev fascists. But now it should NOT be interesting for Russia and Novorossia, unless it is a very far-reaching autonomy with the possibility of future independence for Novorossia that is in the "deal". 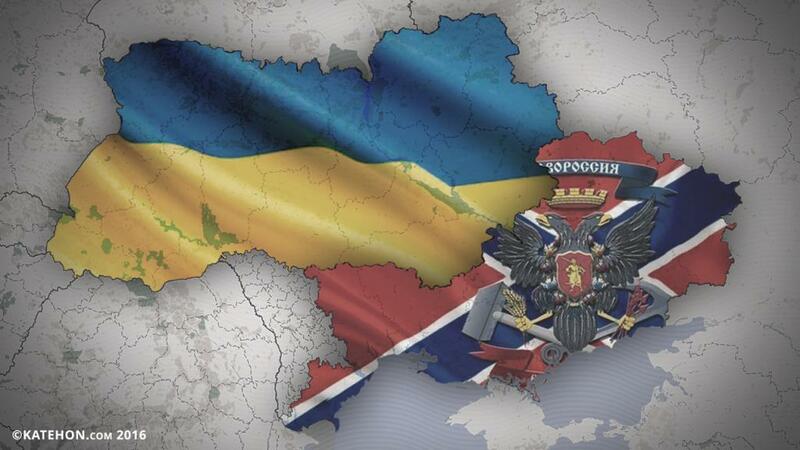 Too much blood has been spilled for Donbass to go back into the fascist "state of Ukraine" now. You do not let "the wolf guard your herd". President Putin has always said that he prefers a united, neutral Ukraine with the rights of Russians and Russian-speakers fully respected, as I write above. But it is very unlikely that the nazis and fascists in Kiev or even the west will accept this, especially as it would mean that the nazis and fascists would have to be removed from power. This is why Putin still would like to take a chance with such a "deal" (in reality federalization) even now. But I think he is prepared for the next logical step - a free and independent Novorossia, closely allied to Russia - if this "deal" is not discussed again, soon. Note that all this is of course speculation, we do not know what is going on behind closed doors in the Kremlin or anywhere else. But it is better for Russia to have a friendly Novorossia as a neighbour (or even joining Russia), than a hostile Ukraine, with an occupied Novorossia, in NATO. That could only happen if Donbass falls, so Russia must prevent that at all costs. Some people are very afraid of a Russian intervention, they keep asking: "What happens next" (if there is an intervention). Well, what would have happened if Russia had continued into Novorossia in April 2014, after liberating Crimea? First of all there would not have been a civil war with several thousand killed civilians and second the "Ukrainian problem" would have been solved there and then, either with a new government in Kiev or with a free Novorossia including Transniestria. And this would have "cost" a maximum of 50 soldiers, and that is bad enough, but what has happened since is much worse. Now for the same result, a free Novorossia, it will cost a couple of hundred soldiers and more militias (from the Army of Novorossia). This is based on Russia doing the technical part - air superiority, air-cover, long range artillery, spetsnaz, air-borne assault and navy landing at Odessa. The infantry fighting will be done by the former militia. And no, the west will NOT send troops to aid Kiev and they will NOT attack Russia. They want to fool Russia not to intervene, because if/when Russia really gets involved, then Russia and Novorossia will win. Some traitors in Russia also want no intervention but the Russian people and Putin know who they are. I think they ought to be arrested for treason. Finally: A good sign is that the humanitarian convoys continue to go to Donbass (without permission from fascist Kiev). Of course it is very important to send new convoys with more humanitarian aid, but even more important is to strengthen the Army of Novorossiya in all possible ways. We must realise that the USA and the European Union are not involved in Ukraine because they love that pseudostate, or they like democracy, or even for economical reasons - then they would not have overthrown a democratically elected president and government who would have given them good economic cooperation anyway, and they would not help the nazis kill the people. No, they are involved there only to prevent Russia from getting stronger with Novorossia as an ally, and to hurt Russia and president Putin indirectly because they can not do it directly. So a good idea would be to arrest the traitors in the Kremlin and send in Russian peacekeepers to all of Novorossia and even eastern Malorossiya and Transnistria.